Frat Party presents to you a night of mayhem at The Lanes. Welcome to the Frat Party! 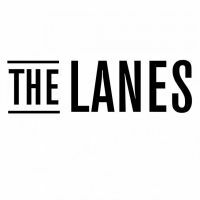 Frat Party presents to you a night of mayhem at The Lanes. Fancy a night of cheap drinks, beer pong, pizza and more? Then you do not want to miss this!! Our DJ’s will be playing the best Hip Hop, Trap, EDM and Rock for you to lose your mind to as well as all the below activities to enjoy with your homies!